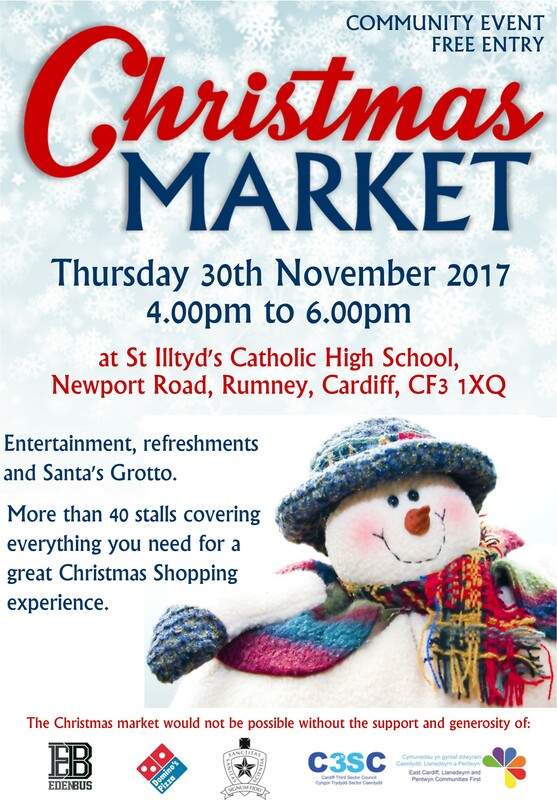 St Illtyd’s Catholic High School, in partnership with the Eden Bus, are once again holding a “Community Christmas Market” at the school on Thursday 30th November, 4.00-6.00pm. Now in its fifth year, this has become a hugely popular annual event in the school calendar. Entertainment, refreshments, Santa’s Grotto and many stalls selling everything you need for a great Christmas shopping experience. We are very grateful to Dominos, Rumney, for sponsoring this event. All welcome. Free entry. The school address is Newport Road, Rumney, Cardiff, CF3 1XQ. Stalls are available at £5 each. 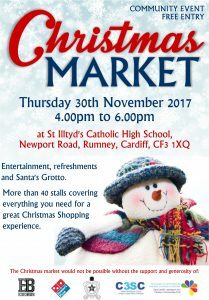 If you would like to book a stall, please contact Luisa May on 02920 778174 or email lm@stilltyds.org.uk. 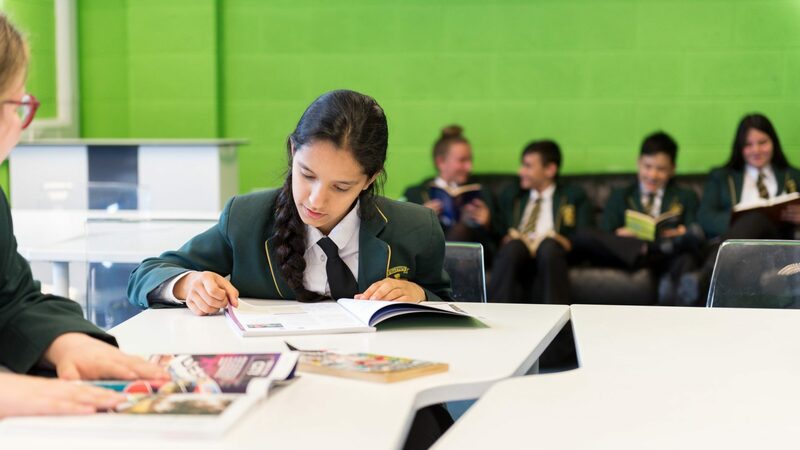 We look forward to welcoming you to our school.